Delivers input current of 50A-125/250V volt AC from a primary power source such as a generator, transformer or facility power to a power distribution (spider) box. 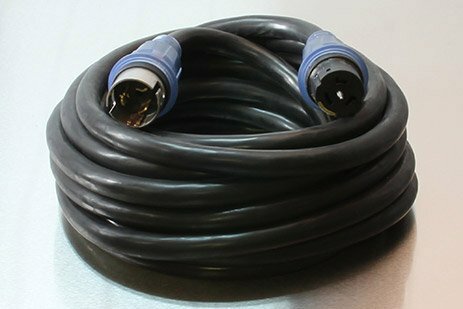 Heavy duty 6/3-8/1 Temporary Power Cords actively monitor power transmission and ground continuity with special lights in the clear, molded connectors. The tough, 600V STW jacket is abrasion resistant for years of hard service use. Flexible to -40°F.